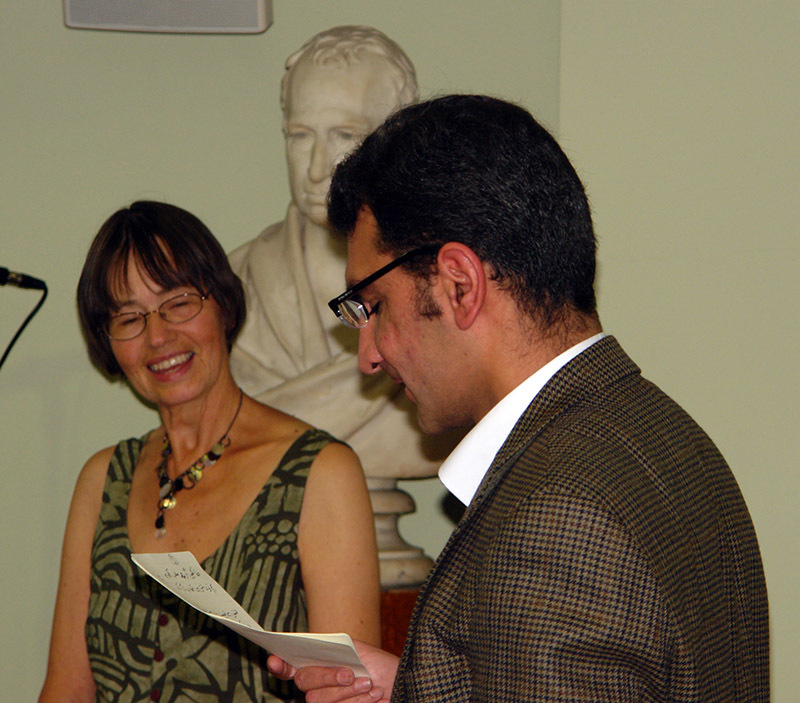 On Tuesday 18th October the RAS was pleased to host the launch of a new edition of Ralph Russell’s work on Ghalib, the Urdu poet. We were delighted to be able to welcome the editor of this new edition, Marion Molteno, as well as members of Ralph Russell’s family and a full lecture theatre of people all eager to know more about this new work. 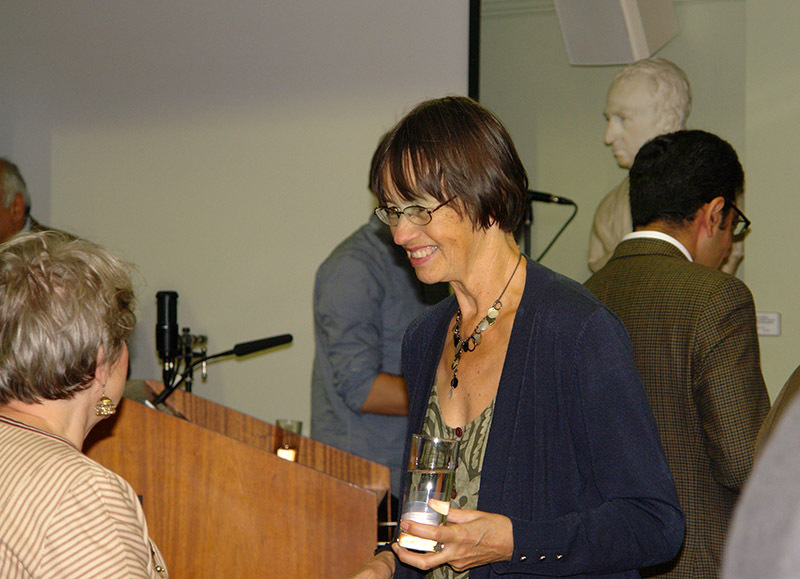 Marion Molteno chatting with Rosie Llewellyn-Jones before the start of the proceedings. 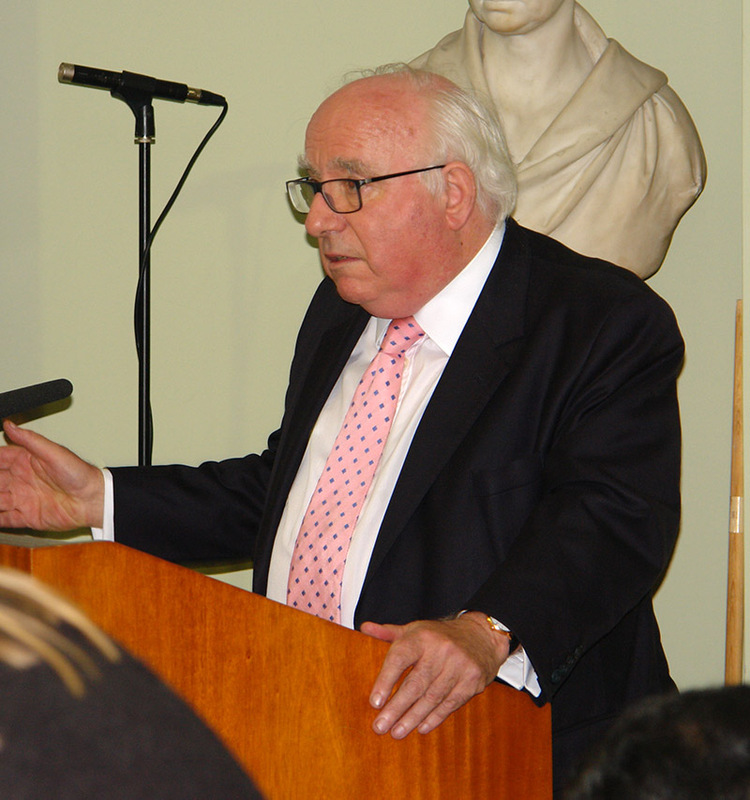 The proceedings began with Professor Francis Robinson, Vice-President of the RAS, recounting some of the life and work of Ralph Russell, relating how widely regarded and appreciated Russell was as a scholar of Urdu and its literature. 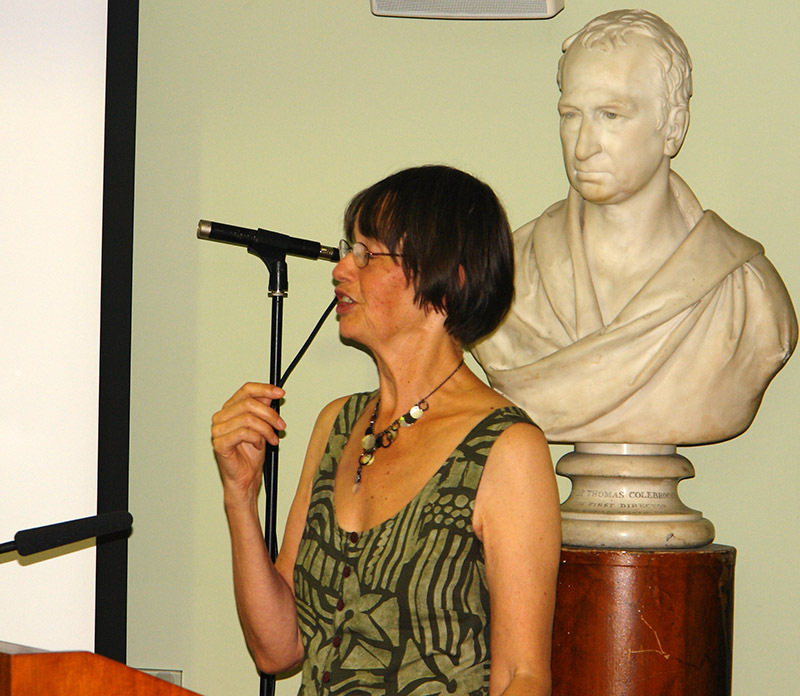 This was followed by Marion Molteno explaining how she came to know and be influenced by Russell, and how she was entrusted with the work of preparing this volume of work. The book, The Famous Ghalib: The Sound of my Moving Pen, introduces the poetry of the 19th century Ghalib by explaining the forms of poetry in which he wrote and the symbolism that was used to express his response both to the universal themes of life and the specific times in which he lived. Molteno has taken the notes of Ralph Russell and ordered them to make his work available to all those interested in this poetry. The book contains over 200 couplets in Russell’s translations alongside the original Urdu, and transcriptions in both Hindi and English scripts, making the poetry accessible to a wide audience. During the evening, some of these couplets were read in Urdu, and English translations, and it was obvious that many people in the audience were well-versed in Ghalib’s poems. Recitation of Ghalib’s poetry in Urdu and English translation. On Monday 24 October, 6.30pm, Professor Karel Werner (Professional Research Associate, SOAS) will lecture on “Pure Yoga in its Historical Context and Today”. Werner, born in Jemnice (Czech Republic) in 1925, is an indologist, orientalist, and philospher of religion with a special interest in yoga. We look forward to hearing his expert account of the context of yoga. On Wednesday 26 October, 6.30pm, David Waterhouse will present “Brian Hodgson and the RAS – Fresh Perspectives”. This event will not only inform about Hodgson and the RAS but also give an opportunity for people to see some of his material held in the RAS Collections. On Thursday 27 October, 7pm, we are delighted to welcome Baha Yetkin to give a Solo Oud Recital of Ottoman Music. Yetkin is an expert in classical Turkish literature. Tickets are just £10 and you are encouraged to book tickets with Amy Riach at ar@royalasiaticsociety.org . We hope that you will be able to attend at least one of these events.